The hearing aid fitting process is one of the most important appointments you’ll have with your audiologist. It’s an essential component to your overall hearing health, especially if you’ve recently been diagnosed with hearing loss. The hearing aid fitting process will not only help you understand how your hearing aids work or what they can do, but they can also help you adjust to them for the long term. But how exactly does your hearing aid fitting appointment help you adjust to your new device? That’s what we aim to help you understand in this article. This is especially important if you’ve decided to get custom-fit hearing aids. Comfort is an important factor when it comes to wearing your hearing aids, especially if they’re going to be worn for long periods of time or will be used when you’re exercising or generally being active. The last thing you want is for the hearing aids to cause discomfort, so the fitting process is designed to ensure that they are comfortable enough that you’re willing to use them every day or as often as you need them. If you don’t feel like your hearing aids are comfortable, your audiologist will be more than happy to change them, swap them for different ones or even recommend a different pair. 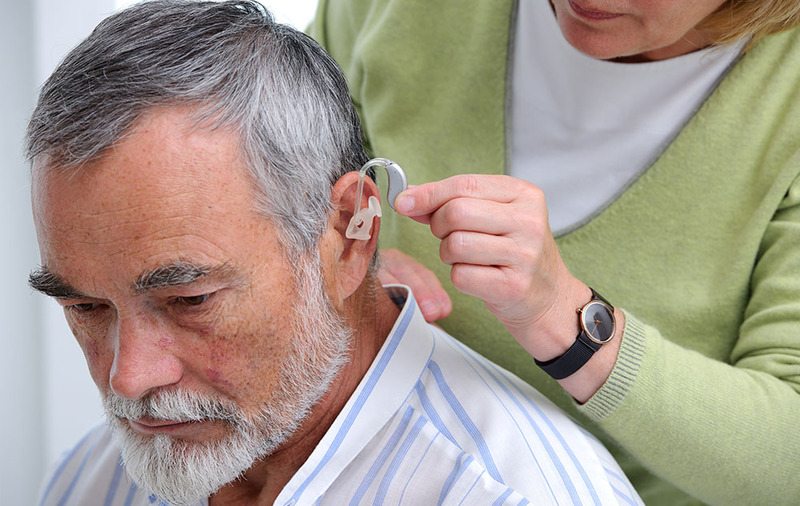 Hearing aids can be tuned and tweaked to provide the best experience to their user. Sometimes, you can raise or lower the amplification to get a better experience. You can lower the volume if it’s too loud, raise the volume of certain types of sounds and ultimately tune the hearing aid to your liking. Your audiologist will likely tune your hearing aid to what they recommend, but you’re always welcome to make suggestions to change it as you need. Hearing aids are fragile, need to be cleaned and are small enough to easily be lost. If you’re unsure how to do these things, then a hearing aid fitting appointment will give you the opportunity to learn how to clean and store your hearing aids so that you don’t lose them and they’re always in a good working condition. Your audiologist will know plenty of information about how to take good care of your hearing aids, so make sure you ask them plenty of questions and watch carefully if they demonstrate it. People trying to adjust to hearing aids will typically have a lot of questions for their audiologist. Many of these questions will help you adjust to your new device by easing your worries and helping you understand certain aspects of your device. Make sure you ask your audiologist any questions that you may have, no matter how small or big you think they are. This will help you understand how to use your hearing aids better and put your mind at ease if you have any concerns.